Two bedroom home situated on a landscaped lot in the heart of Antigo&apos;s community and right across the street from Aspirus Hospital. 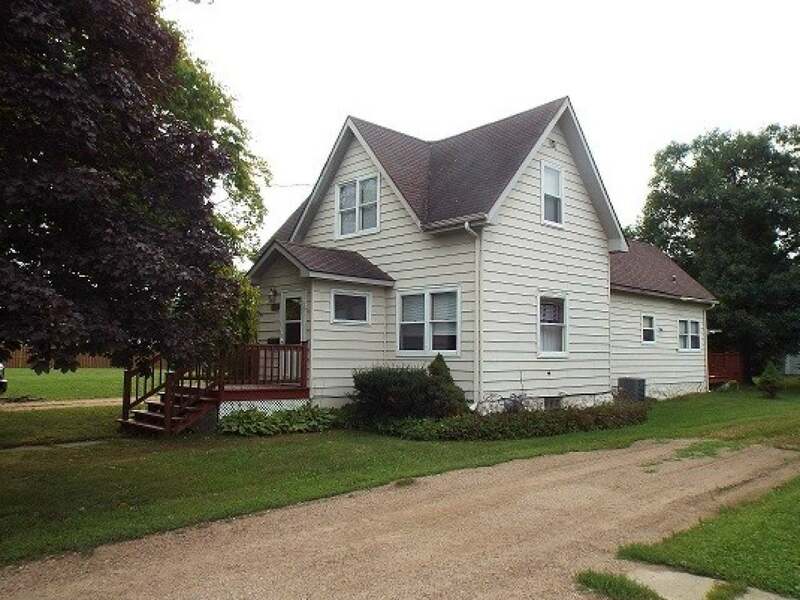 Close to several parks and within walking distance to the Langlade County Boardwalk and schools, this cozy two story could make the perfect starter home for your growing family! There is convenient first floor laundry and handicap access to the back end of the home with an open sun deck and roll-down awning. One bedroom is located on the main level, while the second occupies the upper level, accompanied by a spare room that could be used as a third bedroom, office or toy room. The home has a detached two car garage and a full sized, unfinished basement. Great location and potential with this priced-to-sell home, call today to inquire!